This wolf of the Wapiti pack stepped away from the pack feeding on a carcass and wandered over near a thermal area in Yellowstone National Park. I was lucky that the area around the wolf's head cleared so that it was very visible in the image. 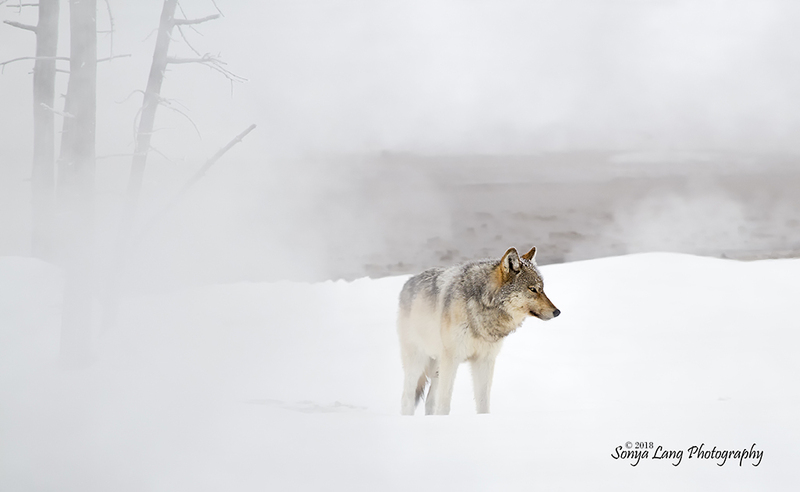 A wolf from the Wapiti Lake pack in the winter.